The Virtual World Exchange (VirWoX) is a virtual currency exchange owned by the German company, Virtual World Services, GmbH. The company has just released news of passing a significant milestone. 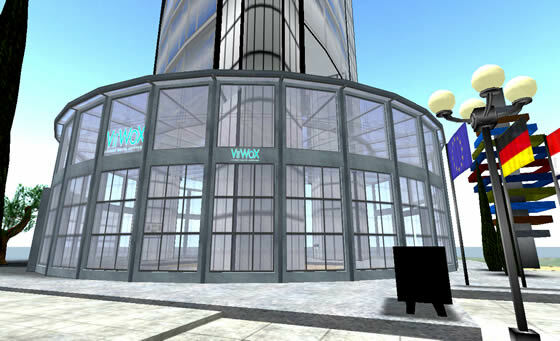 According to their website, VirWoX has now reached over 5,000 registered users and a trading volume of 1 million Euros – that’s 343 million Linden™ dollars or $1.3 million US. The exchange opened on December 12th, 2007, and is aimed primarily at the European markets where converting local currencies into US dollars prior to Linden dollars adds cost to the transaction. VirWoX currently allows trading in Euros (EUR), UK pounds (GBP), and Swiss francs (CHF). VirWoX have the technology and software to do this. The VirWoX server has been built using a modern service-oriented architecture in order to achieve a high degree of scalability and reliability. It has been running 24/7 for almost a year, processing hundreds of thousands of transactions without any apparent problems. This modular architecture allows the company to open their internal interfaces to third-party developers who want to access the VirWoX server from their own applications or products or to build new exciting applications that require automatic access to a virtual currency exchange. VirWoX is the first and only exchange for virtual currencies with an open programming interface. A very smart and diplomatic answer. It’s really appreciable and general. The topics referring to this good topic are offered by the essays writers thus, some people are willing to buy essays and term paper about this. I got a very wonderful information from you,thank you so much. Hey, good post! Here is nice vibram five finger sharing with you, just enjoy! I promise it won’t let you down! So don’t miss it! Thank you for sharing this information. I found it very informative as I have been researching a lot lately on practical matters such as you talk about. In theory I’d like to write like this too – taking time and real effort to make a good article… but what can I say… I procrastinate alot and never seem to get something done. VirWoX have the technology and software to do this. The VirWoX server has been built using a modern service-oriented architecture in order to achieve a high degree of scalability and reliability. It has been running 24/7 for almost a year, processing hundreds of thousands of transactions without any apparent problems. It is timed, so if you dont choose it will just pick the one listed as 1 (which I believe would be the new one. )You dont have to reformat at all, and you can move certain things, but some folders like the Documents and Settings need to be on the same partition as windows. I think the republican party needs to rethink things. Their ideals anymore do not fit a good majorty of americans because thier views are way to conservative. Of course you have to be a legal citizen to vote. And many who are not yet legal would make better citizens than a lot of American-born people. I work with people applying for citizenship who make great contributions, care a lot about this country, and are really excited about getting the right to vote. It can be beneficial to possess the capability to understand a great high quality write-up with valuable particulars on topics that plenty are interested on.